January 15, 2009 - Raleigh, NC: Veteran Rolex GT and KONI Challenge driver Mark White has signed to drive with Freedom Autosport for the upcoming "Fresh From Florida 200" at Daytona International Speedway on January 23, 2009. Mark will be teaming with Andrew Carbonell in the #147 Freedom Autosport MX-5, sponsored by Team Janica Racing, 2BKOOL, Performance Drink and Prairie Hills Motor Club. Mark said about his signing: "I am really excited to be racing for Freedom Autosport and with the ever fast Andrew Carbonell. I raced against the Freedom MX-5's and Andrew last year and know first hand how fast both are. Andrew and I had more than a few duals last season and I have great respect for him and his driving. I cannot wait to get behind the wheel of a Freedom MX-5 at Daytona." 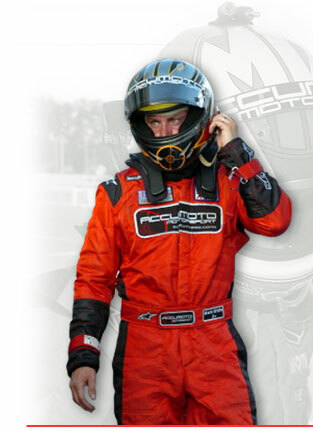 Freedom Autosport Team Manager Tom Long said: "We are so happy to have Mark racing for us. When we heard he was available, we did everything we could to get him into one of our cars. Marks strong speed and clean driving was evident to our team last season when he raced for one of our competitors, hence we were shocked to find him available and we moved quickly to secure him. The teaming of White and Carbonell is likely one of the fastest in the paddock and we look forward to Daytona with great excitement." Freedom and White are currently working on a deal that would keep the Madison, WI based veteran with Freedom Autosport for the entire 2009 season. White noted: "The Daytona race should be a really fun one for me. With Randy Pobst, my teammate from last year at APR Motorsport having moved Compass 360, and my moving to Freedom, I'll be doing lots of racing against old friends." Freedom Autosport entered professional racing in 2008 via the KONI Challenge Series and experienced immediate success, garnering two podiums, one pole, many fastest in practice/race laps, all the while suffering only one DNF in ten races (30 total starts for the three cars, one mechanical DNF). The "Fresh From Florida 200" kicks off at 1:45pm Eastern Time on Friday, January 23 at the Daytona International Speedway. The race will be telecast on a delayed basis on SPEED TV at a time to be announced later.